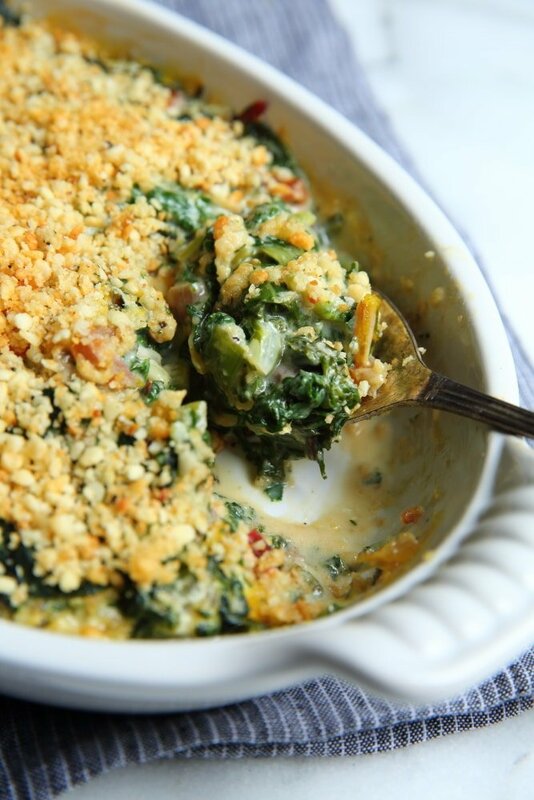 This creamy Swiss chard gratin has converted many chard-phobics (i.e. 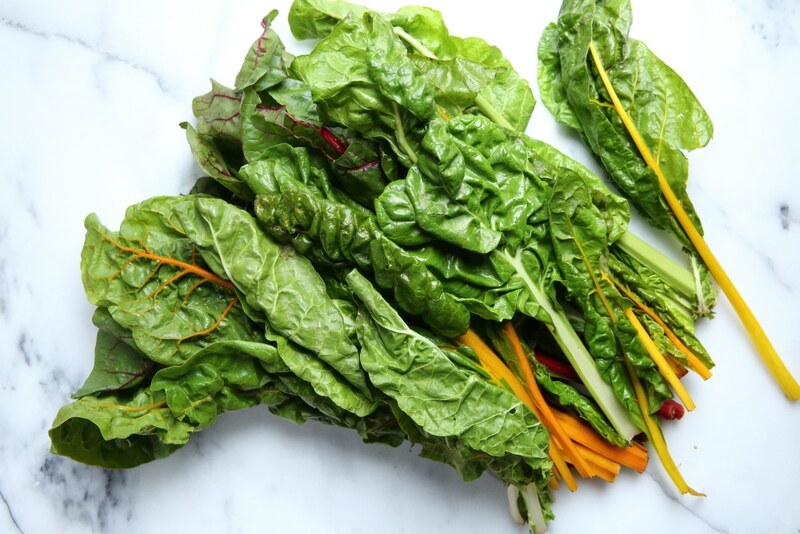 those who are suspicious of Swiss chard and his green-leafed brethren) into chard-lovers! 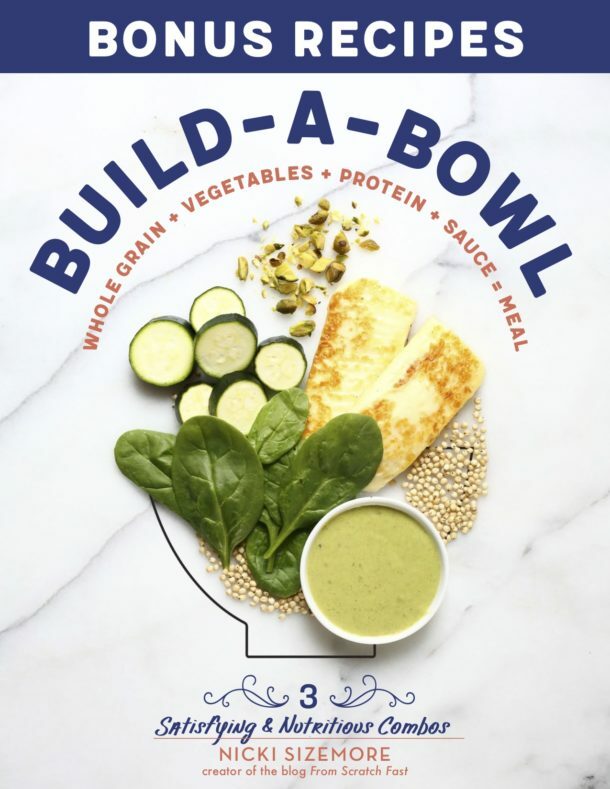 It’s soul-satisfying yet healthy, and since it’s naturally vegan and gluten-free, it can please all the eaters at your table. 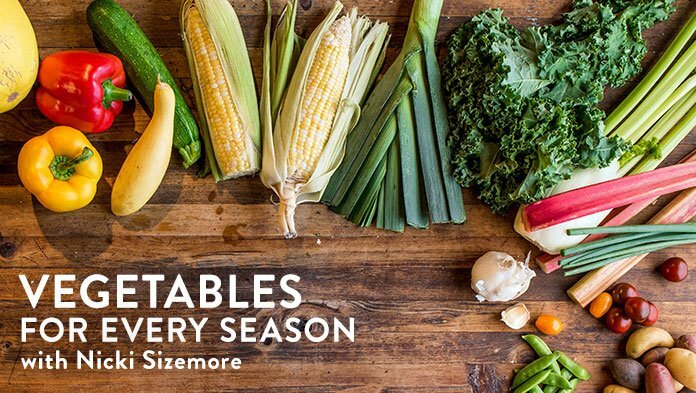 Best of all, it’s the easiest gratin you’ll ever assemble! 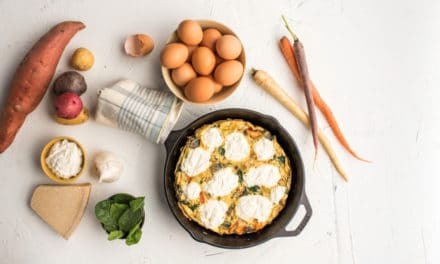 No fussing with a béchamel sauce—in this recipe coconut milk gets reduced with garlic and ginger and is thickened with cornstarch for a luxuriously creamy sauce that binds a delicious mess of Swiss chard. 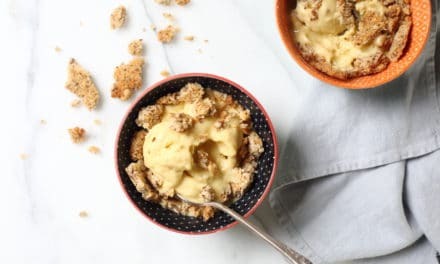 The gratin is topped with crispy panko breadcrumbs (go for gluten-free if needed) and is baked until bubbly for a stunning side dish that’s perfect for special occasions (ahem, holidays, I see you!) and weeknights. I’ve even been known to eat it straight out of the baking dish with a spoon for lunch. 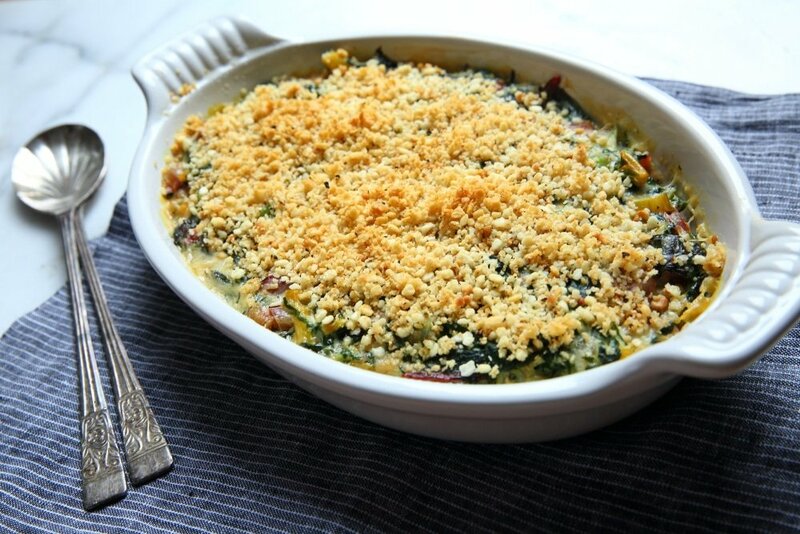 Oh, did I mention that this Swiss chard gratin can be made the day before? Meaning it would be the perfect addition to your Thanksgiving spread. Enjoy! Opt for full-fat coconut milk, which will give the gratin a much better texture and flavor. It will seem like a lot of Swiss chard, but it cooks down considerably once boiled (by the way, the stems are completely edible, so add them!). 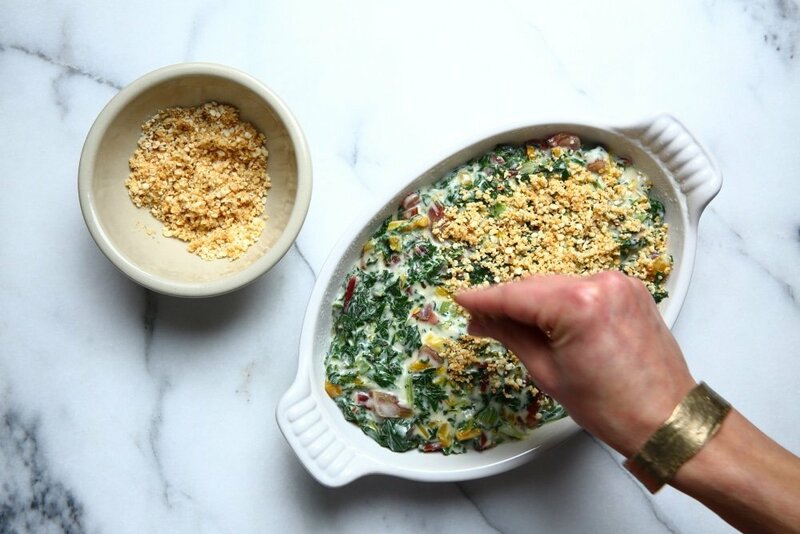 It’s important to squeeze the liquid out of the Swiss chard before adding it to the thickened coconut milk to prevent the gratin from turning watery. I simply ball it up in my hands and squeeze it over the sink. The gratin is bound with coconut milk, which gets thickened using cornstarch. Cornstarch should never be whisked directly into hot liquid, as it will clump up. Instead, whisk the cornstarch into some reserved room temperature coconut milk (this is called making a slurry), then slowly add the slurry to the simmering coconut milk mixture. The ginger and garlic are a great match for the hardy greens, and they infuse the gratin with a wonderful aroma. A microplane is your best tool for grating them into the coconut milk. 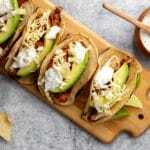 A touch of lime juice at the end brightens up all the flavors. I couldn’t live without my lemon/lime squeezer! 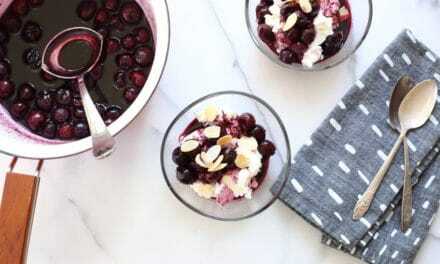 You will need a 1-quart gratin or baking dish (or you could use individual-sized ramekins or dishes). I love this Le Creuset dish, which I use for all kinds of vegetable dishes. While the gratin is fairly small, it’s rich enough to feed six. 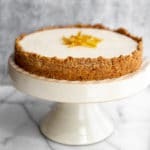 You can use regular or gluten-free panko breadcrumbs (which are now widely available) for the topping. You can assemble the gratin without the breadcrumbs 1 day in advance. 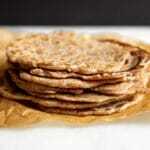 Bring it to room temperature and add the breadcrumbs before baking. 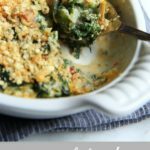 This creamy Swiss chard gratin is made with coconut milk, garlic and ginger for soul-satisfying yet healthy side dish that has converted even the staunchest of chard critics! 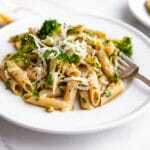 Instead of fussing with a bechamel sauce, coconut milk gets simmered with garlic and ginger until fragrant, and is then thickened with cornstarch. 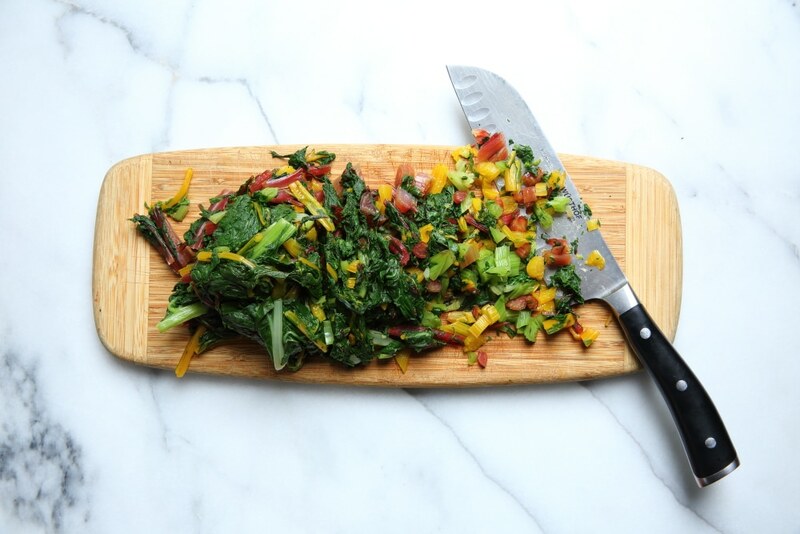 The sauce binds together a tangle of Swiss chard (it will seem like a lot of chard, but it cooks down considerably). 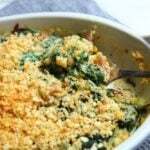 The gratin gets topped with crispy breadcrumbs and is baked until bubbly. 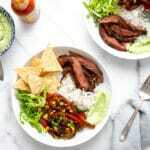 A touch of lime juice brightens the flavors. You will need a 1-quart sized baking dish for this recipe (it can also be baked in individual ramekins or dishes). Preheat the oven to 400˚F. Bring a large pot of water to a boil. In the meantime, put 2 tablespoons of the coconut milk in a small bowl and add the cornstarch. Stir until dissolved. Set aside. Pour the rest of the coconut milk into a medium saucepan. Add the grated garlic and ginger. Bring to a boil, reduce to a simmer and cook 10 minutes, stirring occasionally. Give the cornstarch coconut mixture another stir, then whisk it into the simmering coconut milk. Bring back to a simmer and cook, whisking, 2-4 minutes, or until thick and rich. Season with sea salt. In a small bowl, combine the breadcrumbs and olive oil and toss with your fingers until evenly coated. Season with salt and pepper. 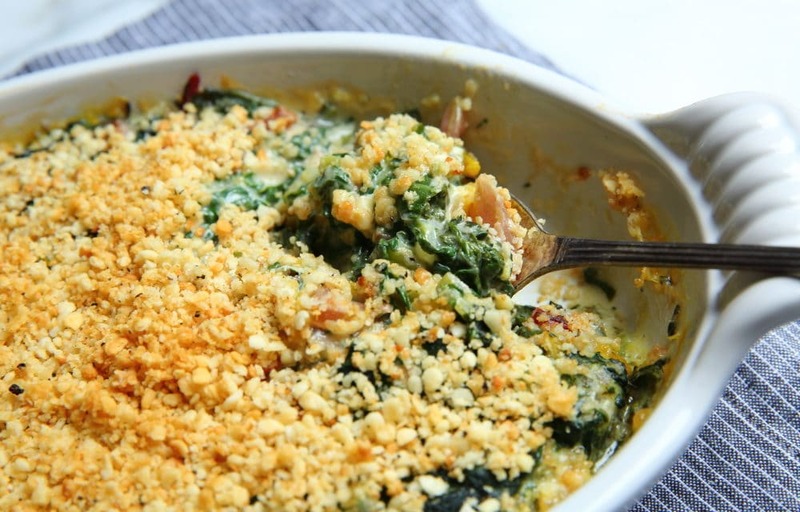 Sprinkle the breadcrumbs evenly over the top of the gratin. Bake 12-15 minutes, or until bubbling and light golden on top. Let cool 5 minutes. Serve warm. 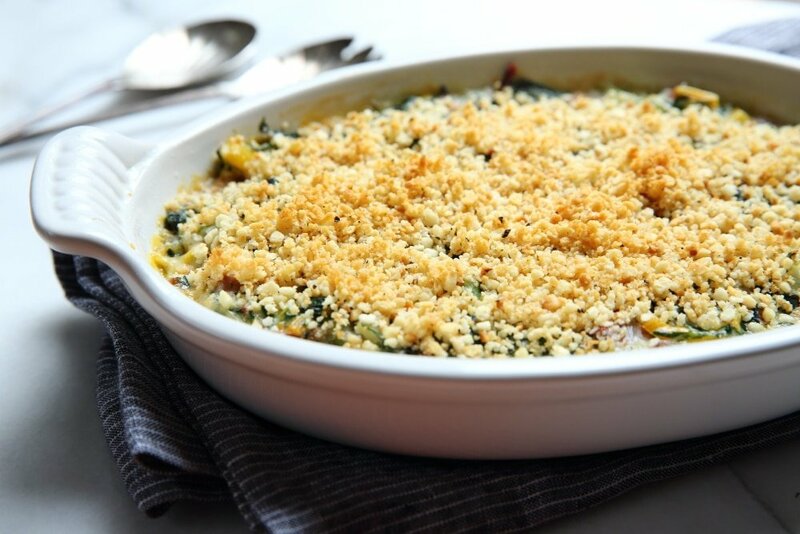 Once the chard is transferred to the baking dish (before adding the breadcrumbs), the gratin can be covered and refrigerated overnight. Bring to room temperature before proceeding. 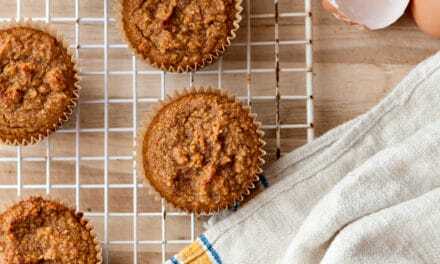 NextGluten Free Recipes for Thanksgiving: delicious dishes everyone will love! 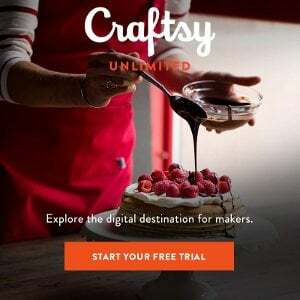 DIY Vegetable Frittata & NEW Craftsy Class! After watching the documentary, “What The Health”, this is a great recipe as a follow up to the movie! Thanks!